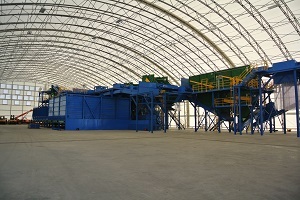 One of the primary pain points that companies in the recycling industry face is inclement weather. Traditionally, waste management operations are conducted in open-air facilities, which leaves them vulnerable to the whims of Mother Nature. For instance, cardboard and other recyclable products can lose their value if they become wet or damaged in a sudden downpour. Similarly, compost production can grind to a halt when a storm rolls through. If you’re in the waste management industry and have had your open-air operations shut down due to the weather, turn to Big Top for a solution. Additionally, our fabric buildings are NFPA701 flame-retardant and can be registered as equipment with the IRS, which may lead to tax advantages. They are also mobile and can be relocated around your property intact with a crane. 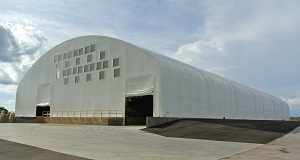 To learn more about our fabric structures and how we can custom-build one to meet the needs of your recycling facility, contact Big Top today.